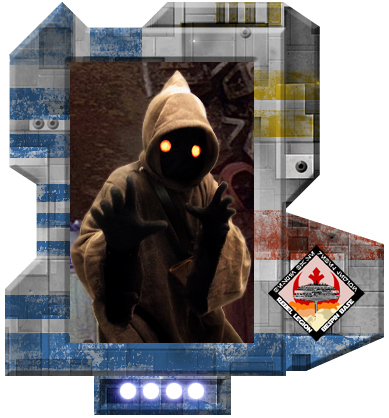 Rebel Legion :: View topic - Utinni! Welcome Jacie! Posted: Thu Feb 28, 2013 4:48 am Post subject: Utinni! Welcome Jacie! Welcome! Make yourself at home and tell us a bit about yourself. We look forward to trooping with you.... of course now with a Jawa on the loose we'll have to keep the droids and blasters locked up. Will you be marching in the Atlanta St. Patty's Day parade on the 16th? I see that you've already applied to join the legion-level "Wretched Hive" (alien) detachment ... great! After you get the approval (which shouldn't take too long) please come affiliate with our local "Tibanna Storm Clan" here http://www.forum.rebellegion.com/forum/viewtopic.php?t=42681. We have only been "official" since September, so we'd love to have you be a part.